In JJK Remodeling, you have found the solution to your home remodeling needs. Our exceptionally skilled and experienced professional contractors are able to handle any type of home renovation with precision and timeliness. Every one of our hand-picked professional contractors comes with years of experience in working on kitchen remodeling, basement remodeling, bathroom remodeling, and even whole home renovations. No matter what kind of renovation project you have in mind, our incredible team of contractors can plan it out before beginning the process of transforming your space into precisely what you envision. Our high standards come with an affordable low price. Let us work with you to provide you with the home remodeling you want on the budget you expect. If you are looking for high-quality home renovations at the right price, JJK Remodeling in Chicagoland is your solution. Turn your old kitchen into your dream kitchen with our amazing team of expert kitchen remodeling contractors. Every fine detail comes together to create the custom kitchen you have always wanted for a stunning focal point in your home. We can work with your ideas, bring you some of our own, and we can create a bathroom that you will love. 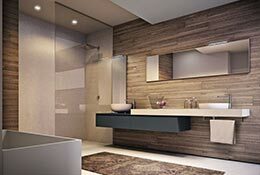 Our bathroom remodeling contractors know just how to meld style and function for a beautiful result. 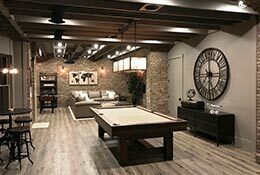 Turn your unused or unfinished basement into an enjoyable space. There is no limit to what a basement remodeling can do to provide added living space with great functionality. Using every square foot, we can create the basement fit for your lifestyle. 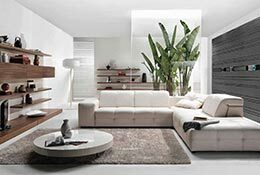 Often a living room goes unlived in as the family room is more favored. We can offer great ideas for a living room remodeling that will bring new life to the space and renew your love of the room. We don’t stop at home renovations. 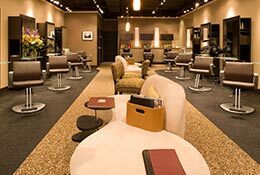 Commercial remodeling can revitalize the space your business needs to thrive in. Make your office environment more efficient and better aligned for success with a renovation that will completely change your business. All our professional remodeling contractors are selected based on their experience and skill. That way we can confidently provide you with the best contractors available for your project. Working with the best materials ensures that we do the best job for your home remodeling project. Our high standards of workmanship rely on the quality of the materials we use to bring you the results you want. Our goal is to work within your budget to give you the home remodeling project you’re looking for, and that’s exactly what we do. Our prices are reasonable and affordable, so you can rest easy knowing your budget stays intact. We always provide you with an estimated time of completion on every project and we make sure to stick to that timeframe. Nobody likes to have a construction team in their home longer than necessary. JJK Remodeling has many fantastic contractors ready to handle any type of remodeling project in the Chicagoland area. 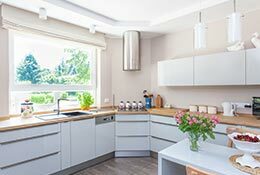 Whether it’s in the city limits or in one of the great suburbs of Chicago, JJK Remodeling is ready to help with your kitchen remodeling, basement remodeling, or bathroom remodeling. We also offer commercial remodeling services. Your next remodeling project in and around the Chicago area is just a phone call away.